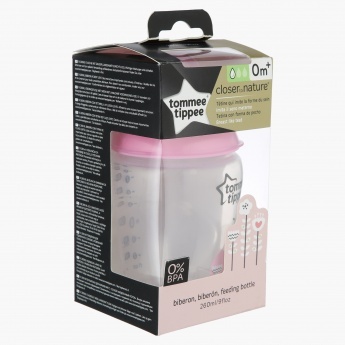 Tommee Tippee Feeding Bottle - 260 ml | Pink | Natural feel teat for "just like Mum" feedings. As your child grows, this bottle will help you replace natural breast feeding for an effortless transition. It is enhanced with a natural-feel teat for 'just like mum feeding', and is easy to latch onto with its ergonomic design.